Water, good ol' H2O, seems like a pretty simple substance to you and me. But in reality, water - the foundation of life and most common of liquid - is really weird and scientists actually don't completely understand how water works. Take two pails of water; fill one with hot water and the other one with cold water, and put them in the freezer. The hot one would be frozen before the cold one. But wait, you say, that's counterintuitive: wouldn't the hot water have to cool down to the temperature of the cold water before proceeding to freezing temperature, whereas the cold one has "less to go" before freezing? In 1963, a Tanzanian high-school student named Erasto B. Mpemba was freezing hot ice cream mix in a cooking class when he noticed that a hot mix actually froze faster than a cold mix. When he asked his teacher about this phenomenon, his teacher ridiculed him by saying "All I can say is that is Mpemba's physics and not universal physics." Thankfully, Mpemba didn't back down - he convinced a physics professor to conduct an experiment which eventually confirmed his observations: in certain conditions, hot water indeed freezes before cold water*. Actually, Mpemba was in good company. The phenomenon of hot water freezing first, now called the "Mpemba effect" was noted by none other than Aristotle, Francis Bacon and René Descartes. But how do scientists explain this strange phenomenon? It turns out that no one really knows but there are several possible explanations, including differences in supercooling (see below), evaporation, frost formation, convection, and effects of dissolved gasses between the hot and cold water. *In reality - of course - it's much more complex than that: hot water freezes first (it forms ice at a higher temperature than cold water), whereas cold water freezes faster (it takes less time to reach the supercooled state from which it forms ice) - see discussion on our previous blog post about this topic. Everybody knows that when you cool water to 0 °C (32 °F) it forms ice ... except that in some cases it doesn't! You can actually chill very pure water past its freezing point (at standard pressure, no cheating!) without it ever becoming solid. Scientist know a lot about supercooling: it turns out that ice crystals need nucleation points to start forming. These nucleation points could be anything from gas bubbles to impurities to the rough surface of the container. Without these things, water would continue to be a "supercooled" liquid well below its freezing point. Note: Similarly, superheated water remains liquid even when heated past its boiling point. Quick: how many phases of water are there? If you answer three (liquid, gas, and solid) you'd be wrong. There are at least 5 different phases of liquid water and 14 different phases (that scientists have found so far) of ice. 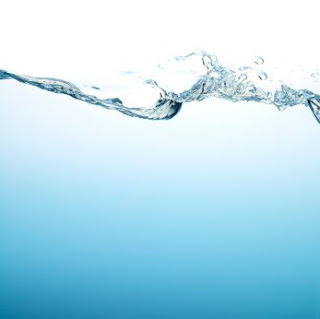 At a molecular level, water is even weirder. In 1995, a neutron scattering experiment got a weird result: physicists found that when neutrons were aimed at water molecules, they "saw" 25% fewer hydrogen protons than expected. 5. Does Water Have Memory? In the alternative medicine of homeopathy, a dilute solution of a compound can is purported to have healing effects, even if the dilution factor is so large that statistically there isn't a single molecule of anything in it except for water. Homeopathy proponents explain this paradox with a concept called "water memory" where water molecules "remember" what particles were once dissolved in it. This made no sense to Madeleine Ennis, a pharmacologist and professor at Queen's University in Belfast, Northern Ireland. Ennis, who also happened to be a vocal critic of homeopathy, devised an experiment to disprove "water memory" once and for all - but discovered that her result was the exact opposite! In her most recent paper, Ennis describes how her team looked at the effects of ultra-dilute solutions of histamine on human white blood cells involved in inflammation. These "basophils" release histamine when the cells are under attack. Once released, the histamine stops them releasing any more. The study, replicated in four different labs, found that homeopathic solutions - so dilute that they probably didn’t contain a single histamine molecule - worked just like histamine. Ennis might not be happy with the homeopaths’ claims, but she admits that an effect cannot be ruled out. So how could it happen? Homeopaths prepare their remedies by dissolving things like charcoal, deadly nightshade or spider venom in ethanol, and then diluting this "mother tincture" in water again and again. No matter what the level of dilution, homeopaths claim, the original remedy leaves some kind of imprint on the water molecules. Thus, however dilute the solution becomes, it is still imbued with the properties of the remedy. So far, other scientists failed to reproduce Ennis' experimental findings (throughout, Ennis herself was skeptical of the result's interpretation that water has a "memory" but maintained that the phenomenon she saw was real). More recently, a team of scientists at the University of Toronto, Canada, and Max Born Institute in Germany, studying water dynamics using fancy multi-dimensional nonlinear infrared spectroscopy did find that water have a memory of sorts - in form of hydrogen bond network amongst water molecules. Problem for homeopathy was, this effect lasted only 50 femtoseconds (5 x 10-14 seconds)! How do Ice Spikes Form? Ice spikes grow as the water in an ice cube tray turns to ice. The water first freezes on the top surface, around the edges of what will become the ice cube. The ice slowly freezes in from the edges, until just a small hole is left unfrozen in the surface. At the same time, while the surface is freezing, more ice starts to form around the sides of the cube.